Slated by Teri Terry – a brilliantly sinister, gripping mystery packed with danger and suspense. Emma Hearts LA by Keris Stainton – a feel-good romance that had me smiling throughout. Jessie Hearts NYC by Keris Stainton – a fabulously sweet, romantic story. Della Says: OMG by Keris Stainton – a fun, humorous read with lots of drama! The Glimpse by Claire Merle – a thrilling mystery packed with terrifying twists. Dark Parties by Sara Grant – an unpredictable dystopian that had me guessing and gasping throughout! Hollow Pike by James Dawson – great humour and a good scare! 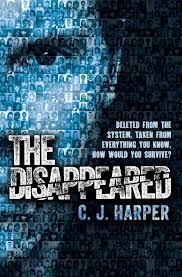 The Disappeared by C.J. Harper – a fantastic new dystopian about an innocent boy adapting to a brutal new life. Earth Girl by Janet Edwards – a wonderfully rich and unique story set in a very well-realised world. Dead Romantic by C.J. Skuse – I cheated a little with this because I’m still reading it, but I just had to include it! It’s so funny and such a brilliant premise! This list could be endless, really. 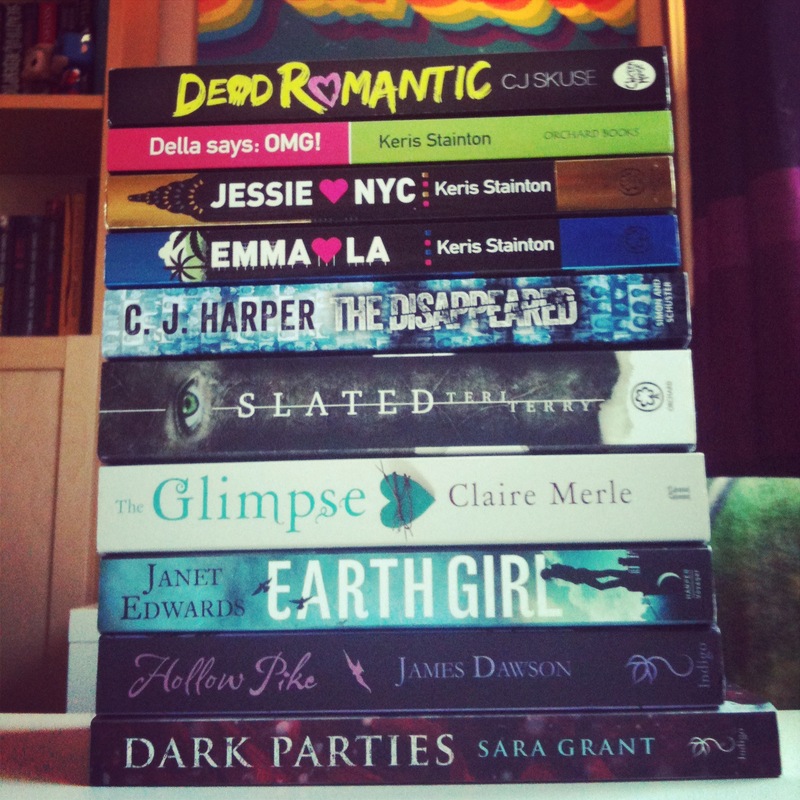 I have a lot of UKYA books on my shelves still unread and lots of upcoming UKYA titles to look forward to! Thank you for having me, Keris! Categories: Top Tens | Tags: C J Harper, CJ Skuse, Claire Merle, James Dawson, Janet Edwards, Keris Stainton, Sara Grant, Teri Terry | Permalink. Jackson’s life is perfect; he’s top of his class, wants for nothing and is destined to be part of the Leadership that runs the country. But when a violent incident leaves Jackson badly beaten and his best friend dead, everything changes. Suddenly his teachers claim not to know him, his records are deleted…Jackson doesn’t exist anymore. Dumped in an Academy, where teachers are kept in cages and being a good fighter is all that matters, Jackson realises that to survive he needs to adapt, and fast. And, as he learns the Academy’s terrible secrets, Jackson discovers that his whole life has been based on lies; the Leadership is corrupt to the core and they’re coming after him. But time is running out. Can Jackson destroy the man at the heart of it all before he makes Jackson disappear for good? Categories: Social/Family, Thriller | Tags: C J Harper | Permalink.